Adele has finally returned to the music scene with a stunning new single, Hello. We found some of the best covers of the track. Check these out! 1. One of our favourite groups, Chasing Midnight, did a beautiful cover of the track! 2. Lianne Kaye (accompanied by her friend Jake) does a beautiful rendition of Hello, reaching the falsetto notes with ease. 3. As usual, Matt DeFreitas delivers with this version that we can't get enough of, while proving the track can work just as well with male vocals. 4. We're loving this acoustic cover from family band Castro, comprised of Michael, Jason and Jackie. 5. R'n'B/hip-hop artist Taps shines on his cover which has received nearly 320,000 views! Not bad for a guy who has up until now had only a small social media presence. 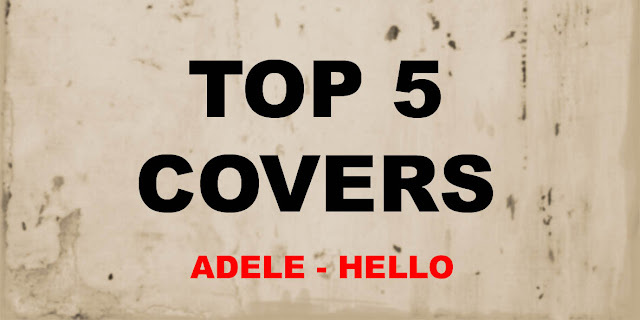 So that's our Top 5 Covers of Hello! Which is your favourite? Be sure to let us know in the comments or tweet us!